Travis Richardson has completed formal wetland determinations as a regulator and as an environmental consultant. 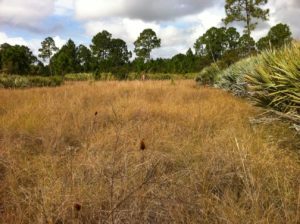 As a regulator, Richardson, reviewed substantial portions of the Old Brick Township DRI Formal Wetland Determination, in Flagler County. This project was more than 4,300 acres and consisted of larger areas of wetland and uplands converted to pine plantation, creeks, seepage slopes, hydric hammocks, and swamps. Following onsite verification of the wetland limits, Richardson, reviewed the specific purpose surveys to ensure that the wetland limits represented those reviewed and that they were legally reproducible. As an environmental consultant, Richardson, has established the limits of wetland and surface waters on numerous sites enabling clients to make informed decisions regarding their property. 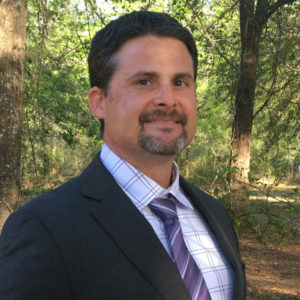 Travis Richardson has worked with St. Johns River Water Management District as a consultant or direct employee for 17 years. Expert Testimony was provided primarily to support the Water Management Districts position regarding regulatory decisions. Richardson was also subpoenaed for a Civil Trial to testify regarding the facts of a compliance case that he had evaluated. Travis Richardson has identified and implemented mitigation for multiple transportation projects to meet state and federal regulatory requirements. Identification of mitigation options involves assessing the potential resource value of a site, its location and proximity to existing public lands, the sites ability to provide support to the watershed, the likelihood of harm, the risk of successful implementation, and various other factors. Richardson has coordinated with regulatory staff to obtain concurrence that a mitigation project is appropriate and then worked to implement the project. One example of a mitigation project is preservation and enhancement of a ±210-acre tract adjacent to the Little Orange Creek Preserve. Richardson coordinated with the Alachua Conservation Trust (manager of the Little Orange Creek Preserve) to identify properties that would support access and management to the Preserve and had sufficient mitigation value to meet the mitigation need. Richardson identified wetland and uplands onsite, established assessment areas, and identified hydrologic enhancements and management enhancements that would result in improved functional value to the property. This mitigation project is in year two of implementation and is expected to meet all success criteria within three more years. Oftentimes a land owner may clear property or dig ponds without considering that there may be regulatory restrictions. When the vegetation or soils have been substantially altered a forensic wetland assessment may be required. 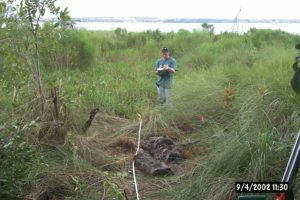 A forensic wetland assessment may require digging trenches to assess buried soil characteristics, there may be adjacent property that can support an assessment, and a review of aerial imagery and other remote sensing data is typically needed. Forensic wetland assessments are common when a regulatory agency is pursuing a compliance action against a land owner. All soil assessments and reporting are tailored to our clients’ needs. A minimum of two soil boring are recommended for seasonal high saturation determinations and a minimum of four borings are recommended for subsurface investigations. Classification of the soils are optional but often support the findings and any engineering needs for project design. Richardson has been an expert witness in two administrative hearings and a fact witness in one civil trial. Richardson has also provide expertise for two eminent domain cases with respect to soil quality. Richardson is a Certified Professional Soil Scientist and is an expert wetland delineator. He will work to fully understand your case and provide recommendations and guidance with respect to soil and wetland assessments. Feasibility studies are regularly needed to determine what use a piece of property may have and identify any regulatory hurdles that may need to be addressed. These studies can involve a wetland determination, identification of optimal septic drainfield location, depth to seasonal high water table, and potential occurrence of Threatened and Endangered Species. A report will be provided to the client documenting all site features and recommendations. Richardson Soils and Environmental is an environmental consulting firm focusing on hydric (wet) soil and wetland assessments, soil classification, wetland delineation, forensic wetland assessments, mitigation, soil and wetland monitoring, environmental permitting, and septic design and permitting.